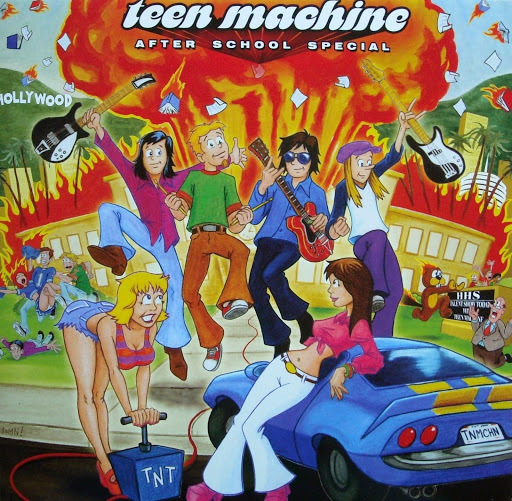 Song of the day: Teen Machine – "I’m Gonna Steal Your Boyfriend"
I’m in a Teen Machine mood today. Song of the day: Teen Machine – "Yummy, Yummy, Yummy"
I stumbled across a compilation album the other day and ended up loving it. 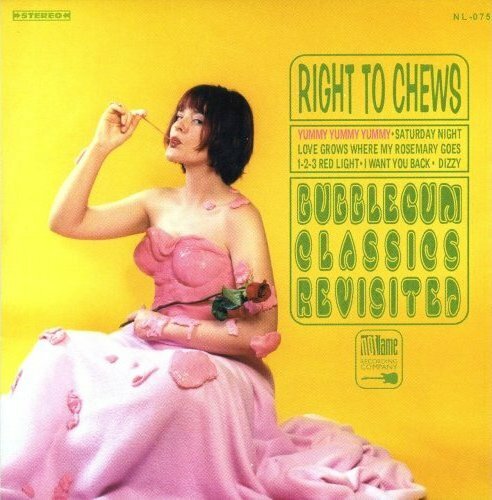 It’s called Right To Chews: Bubblegum Classics Revisited, and as you can tell by the title it’s one of those ‘tribute’ albums – the kind that are sometimes hit-and-miss affairs (depending on who contributes to them). In the case of Right To Chews, however, it’s all hit. (For me it is, anyway.) The main reason for its success is that it’s a gaggle of bubblegum tunes played by power pop bands. If you know anything about my taste in music, you’d guess quite correctly that I consider this to be a win-win situation. (Bubblegum + Power Pop = Yes!) This album appears to have been made especially for me. Yay! I like how, at the beginning of the song, the band gets you thinking that you’re going to hear a different song (specifically, this one) until that sweet, sweet tune comes in to let you know you’re going on a wonderful bubblegum ride. 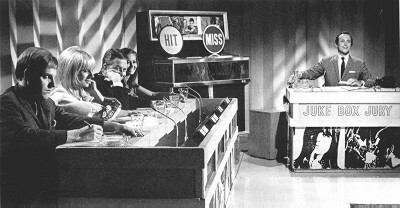 You are currently browsing the archives for the Teen Machine category.